Although it’s no news that recycling is the way forward, Malta is still way behind. This process uses up fewer natural resources than producing items from scratch, and keeps waste out of our landfills. If you’re a newbie in the recycling department, GreenPak shares some common materials you should be recycling in Malta. When recycling your cardboard, be sure to flatten it to save storage space. From simple makeovers - such as creating cat houses - to more complex projects, the possibilities are endless. Did you know you could even cut cardboard into small pieces to add it to your garden compost? Fun fact: recycling aluminium prevents the need to mine for ore to create new aluminium. What’s more, aluminium is 100% recyclable and retains its properties indefinitely. Also, recycling aluminium cans takes 95% less energy than creating new ones; the energy it takes to produce a single can may produce 20 recycled cans. Glass containers for food and beverage are 100% percent recyclable and biodegradable. Glass can be recycled endlessly, without loss in quality or purity. 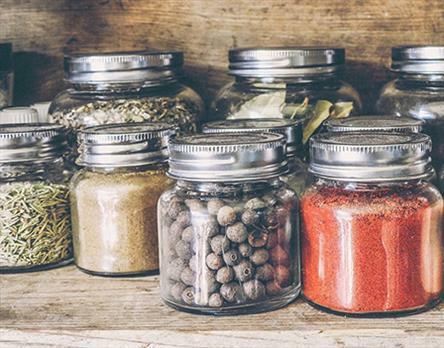 When it comes to jars, all are great for organising spaces. Additionally, young children can bring baby food jars to school to use as paint jars. Parents and children can perfectly organise a tool bench with recycled jars for nails, screws or other small items. With countries worldwide raising awareness of the superfluous amount of plastic that’s being collected on an annual basis, it’s really no wonder panic has started to set in. We can all do our part to prevent the large amount of waste that often ends up in the ocean and countryside due to improper disposal. When it comes to recycling in Malta, GreenPak is the largest waste recovery scheme, providing recyclable waste collection as well as glass and battery recycling. Remember to keep up with our regular updates on Facebook and Twitter!